Cayetano Gaming is a subsidiary of Paddy Power, and was acquired by the Irish bookmakers in October 2011. Cayetano Gaming produces casino software, and has offices in Castletown on the Isle of Man, and Sophia, Bulgaria. The company released its 50th game in February 2013, and over the years has produced a sensational roster of games – no mean feat, considering the humble beginnings of the firm. Cayetano Gaming started life in 2009, with a staff of five. Production was focused on online casino games for Windowsand Mac users, along with mobile games for Apple and Android users, along with internal automated web systems, and back-end platforms for the admin section of online casinos. Forget boring 2-D slots – slots from Cayetano Games are bright, in-your-face, and beautifully rendered. And that's just the appearance. These slots will have you reaching for the volume control – not to turn it down, but to turn it UP – the sound effects are incredibly well produced. For players who like intricate and absorbing bonus levels, loads of free spins, and massive payouts, then it's worth while hunting down a few Cayetano Games and trying them today. I've been spinning and winning a fair bit on several Cayetano titles – fire one up and see if you can get lucky. This groovy game will have you bopping in your chair – dance the night away with a cool set of characters including a plum with a quiff, a melon wearing sunglasses, and the cherry twins, who spin around the dancefloor. And the belle of the ball is the classic Bell icon – she's wearing a fetching pink bow in her hair. When you get that all-important winning combination, the icons boogie on down – this game will give you disco fever, guaranteed. Head into infinity and beyond, when you take a trip on this cosmic escapade. The music rivals 2001 Space Odyssey, and the stunning 3-D graphics will mesmerise you. 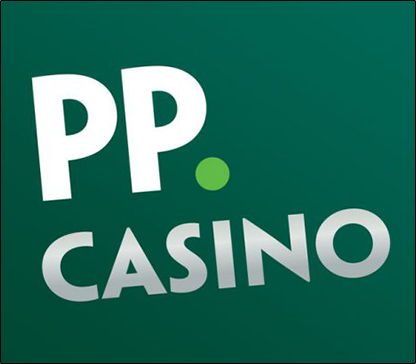 Play at Paddy Power and other selected casinos from 10p per spin. Forget scoffing cockroaches on I'm a Celebrity – the creepy crawlies in this game are your friend. This cute game has graphics to rival Pixar – I'm a particular fan of the big-eyed ladybird, and the happy earthworm. Your minimum stake on this game is 10p, and the maximum stake is £100. My word grandma, what big jackpots you have. Enter grandma's cottage and take your place in this enduring fairytale. The five reels spin somewhat dreamily, and this game is possibly the most beautifully-animated from all the Cayetano productions. As you can see from the above, Cayetano Games have excellent creative concepts, and striking graphics – it makes me wonder why more slots aren't up to this standard.